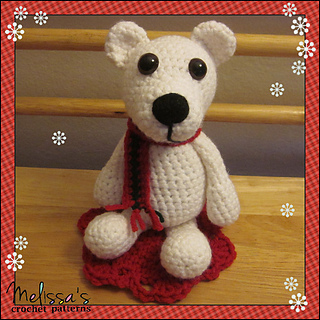 Phillip the Polar Bear is a friendly polar bear who loves everyone and spending time with friends is his favorite thing to do. 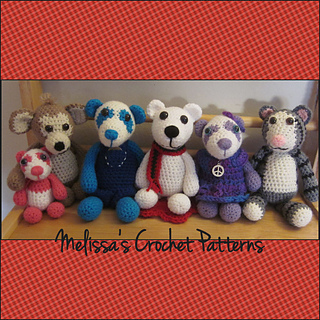 Phillip the Polar Bear is cousins with Precious the Purple Panda (also a free crochet pattern). 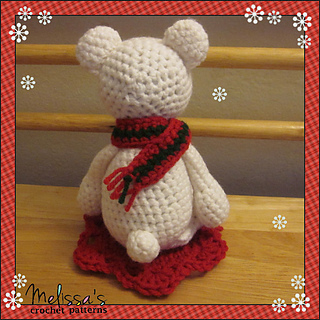 He measures 9 inches from the top of his ears to the bottom of his feet. 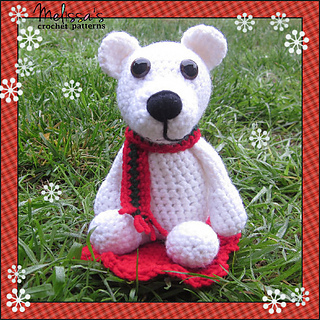 Included in this pattern is the polar bear, scarf, and placemat for your polar bear to sit on.